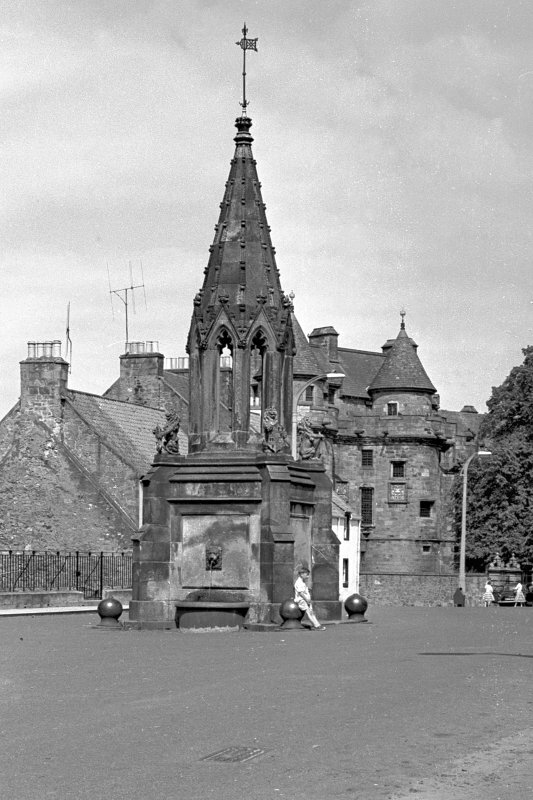 General view from east of Bruce Fountain, with Falkland Palace in the background. 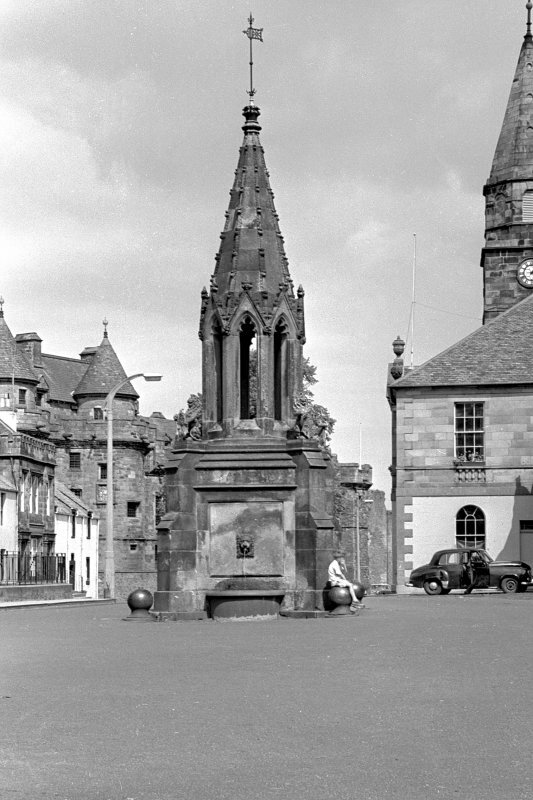 Proposed Fountain at Falkland. Letter from Alexander Roos, Architect, [fl 1830-58] to O Tyndall Bruce. Mr Roos has sent a sketch for the new fountain. 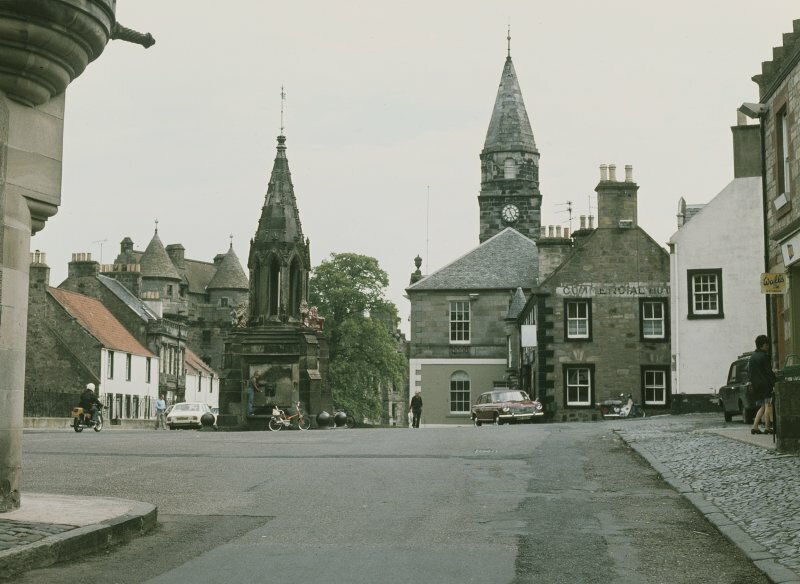 [missing] The four lions at the corners carry shields which could have Mr Bruce's Arms and the Arms of the town on two sides and inscriptions on the two others. A site for the fountain has been chosen. Alexander Roos, architect, [fl 1830-1858] enclosed a sketch [missing] showing proposed lion ramparts - one over each corner. Inscriptions chosen by Mr Tyndall Bruce would have to await *Mr Page's agreement. Letter: Alexander Roos to Francis Howden, Factor.